NOVAX is an independent 4th generation family owned company that cares well-being of the industry. This is aligned with our innovative technology, superior & high quality products that are being offered. Our experience in this sector combined with a manufacturing facility enhanced with Free Form technology offers the finest quality, fastest production resulting best customer experience. The current company has been established and incorporated in May 2003. The operation started as importing and selling stock products and later on an initiative taken to build one of the most modern RX manufacturing factory. NOVAX is pioneered to be the very first FreeForm technology user in its region as well as one of the first in the global sector. Main factory is located in Istanbul & the company strategically opened its second factory in Porto, Portugal in an attempt to complement the fast service the company is known for. In an attempt to stay completely independent our software engineers developed our own software and capable of designing lenses. We can present wide progressive and single vision product range of all indexes from 1.50 to 1,74 for your RX orders covering all material types including organic, polycarbonate & Trivex. Our facility is capable of offering photochromic & antireflection coating options upon request. Our top of line Satishloh machinery and our long tenured employees ensures flawless production while ensuring all quality standers are met. 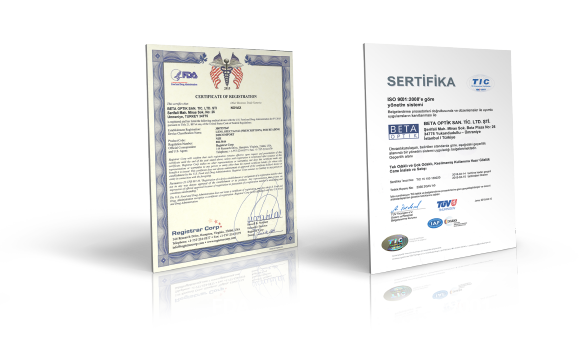 Our quality standards are backed by FDA, CE certification, ISO 9001. Our growing global presence and investments creates excitement to be the independent company choice of the ophthalmic lens market.